I was speaking today with my friend, Franciscan Friar Ed Mundwiller and he called my attention to a document written by Bishop Edward Braxton of Belleville, Illinois, called The Racial Divide in the United States: A Reflection for the World Day of Peace 2015. 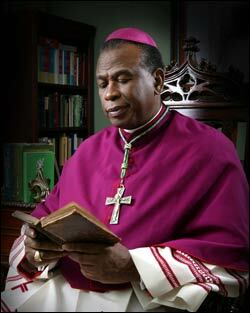 First, let me say that I think Bishop Braxton is a brilliant man. If you’re not from the midwest you may not be familiar with him, but I first met him when he was Auxiliary Bishop of Saint Louis. The good Bishop is a rarity in the U S Catholic Church. He’s one of just a handful of black Bishops. He has his share of detractors, most likely because he is an African American and because he is extremely intelligent, a combination that’s not necessarily popular in our lily white Church. Let’s be honest, racial prejudice is not unknown in our Church in spite of Jesus’ teachings against it. His current assignment in Southern Illinois puts him in the heart of “white country”. He points out in his letter that there is only one African American Catholic church in the whole diocese. Given his background, this pastoral letter, dealing with the subject of race, is extremely even-handed. He details the recent history of young Black men being killed by white members of law enforcement, but he does it in a way that doesn’t place blame or call for vengeance. He outlines steps that we can all take to work toward a solution to our racial problems. I’m not going to attempt to dissect the document, mostly because I know when someone is smarter than I am and there is no reason to think that I can add anything to what he’s said. What I am going to do is urge you to read the document and draw your own conclusions. He begins by asking his White readers to imagine ourselves in a Catholic church where all the statues are depicted as African Americans and most of the parishioners are African American as well. Would we feel welcome in such a church? I know I wouldn’t. Having said that, we have historical evidence that Jesus wasn’t Black. On the other hand, He wasn’t European with light brown hair and blue eyes as He is most often depicted in our churches either. We don’t know exactly what He looked like, but we know He was a Jew, as were Mary and Joseph. He may have looked more like George Castanza. We just don’t know. 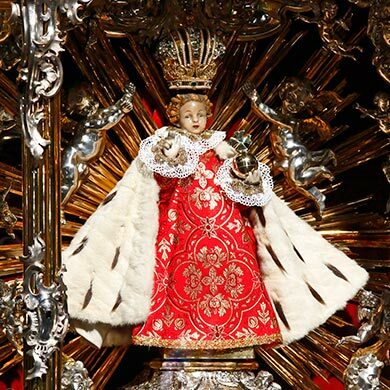 In my church we have a great devotion to the Infant of Prague. One look at the image of the Infant should cause all of us to say, “Wait a minute! Is that what the Infant Jesus really looked like?” I don’t think so. Like I said, I’m not going to attempt to analyze the good Bishop’s letter or to point out the one or two minor points where I don’t agree with it. Again, I urge you to take a look at the document. It’s kind of long, about 25 pages. It is very readable. But it’s well worth your time, especially during Lent. Read it. Think about it. Pray about it. Then ask yourself what you might do in your corner of the world to effect change. I think you’ll be glad you did. Here’s the link again: The Racial Divide in the United States: A Reflection for the World Day of Peace 2015.